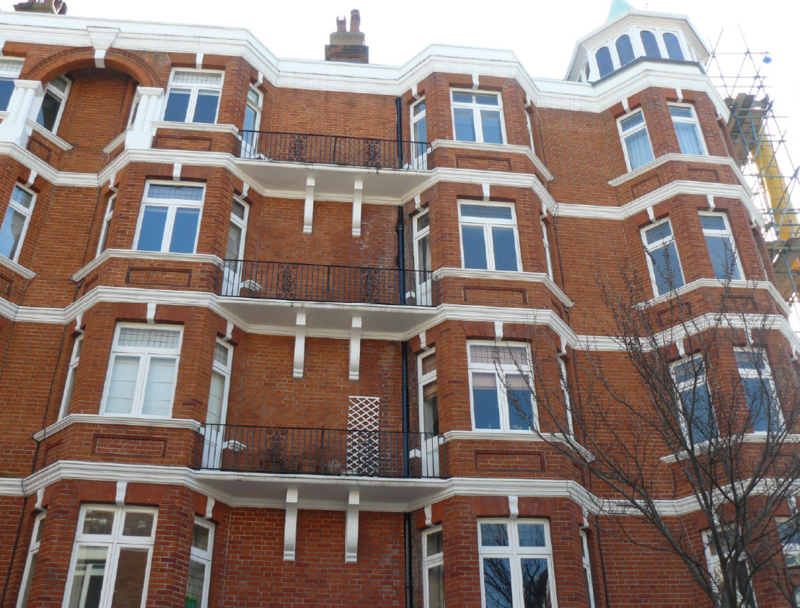 Culford Mansions are tucked away along a quiet residential street behind King’s Road close to Sloane Square, where you can find some of London’s most popular upmarket shops, bars and restaurants while Knightsbridge is also close by offering attractions such as Harrods. The property had issues with faulty rain water goods allowing water to percolate through the building fabric for some considerable time before the fungal decay became apparent. Even after repairs were carried out to one of the main rain water down pipes, concentrated moisture was still present deep within the masonry. Eventually damp patches registered on the internal wall plaster in one of the apartments but the damage had gone unnoticed for several months. 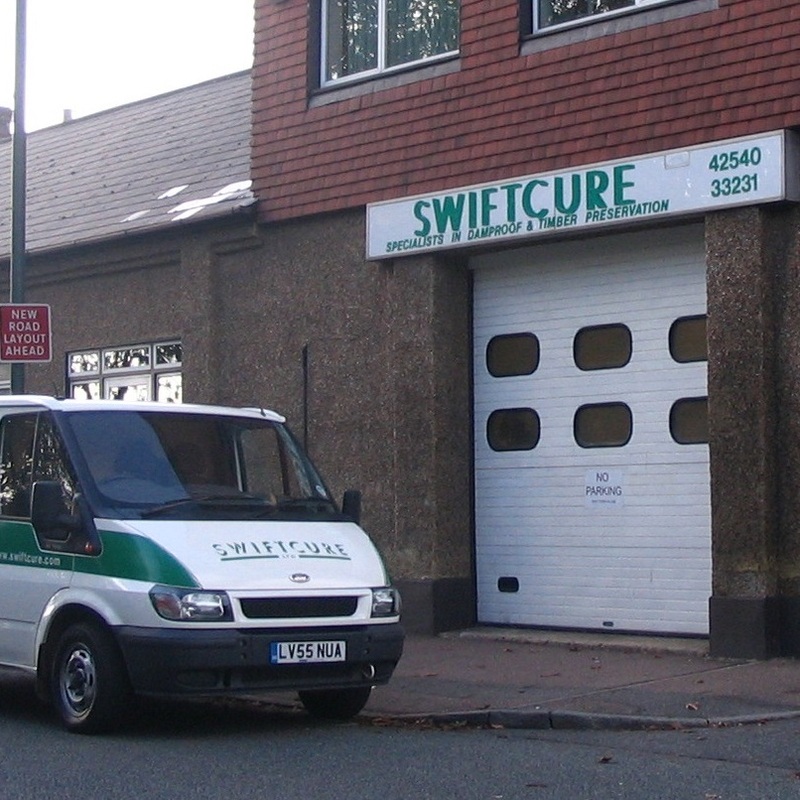 Swiftcure were called to survey the properties, and once investigations were carried out, fungal strands and mycelium had spread to the party wall which affected four separate properties. The managing agents had to organize decanting the occupants and all their furnishings and fixtures to allow Swiftcure technicians to remove the contaminated plaster and ornate ceiling details ready to receive specialist sterilization works. Owing to the severity of the Dry rot outbreak bespoke door and window joinery had to be replicated in keeping with the Architectural detail; a specialist plaster molding company was also commissioned to reinstate the ceiling details to match. 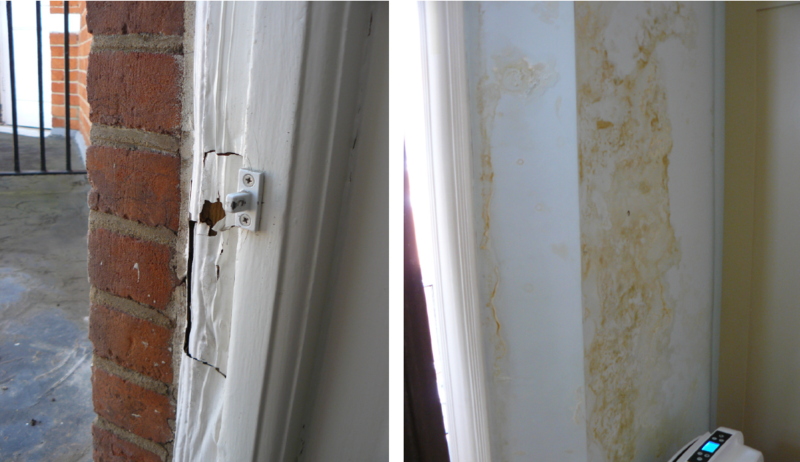 Decayed Joinery & Internal damp wall.